Three bottles of yellow wine from France's Jura region have sold for record sums, with the highest going for €107,000 at auction. Auctioneer Philippe Etievant said a group of experts in 1994 tasted a bottle of the same wine and gave it a score of 9.4 out of 10. They said it had a taste of "nuts, spices, curry, cinnamon, vanilla and dried fruit". The year the wine was bottled, France was under the rule of King Louis XVI. The three 87cl bottles of Vin Jaune were made by the winemaker Anatoile Vercel. They were in the possession of his descendants in Arbois and are believed to be among the oldest existing wines in the world. 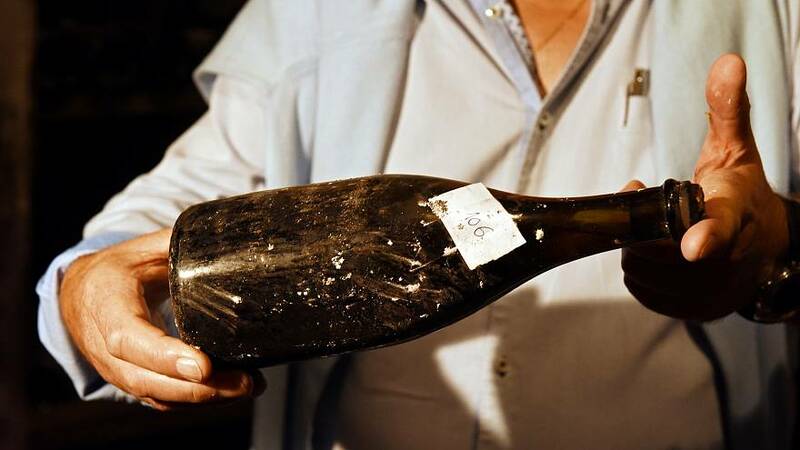 The buyers were Canadians and someone who used to purchase wine for Americans with links to France, according to Agence France Presse, who quoted auctioneer Brigitte Fenaux, of the Jura Encheres auction house. "I didn't think that these bottles would sell for so much. The last record set in 2011 was €57,000," Fenaux added.